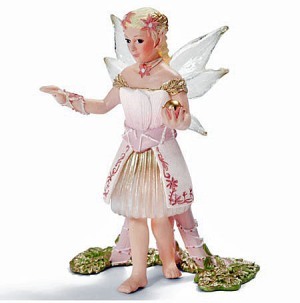 Schleich 70462 - The lily-like elf loves playing the golden ball game with her friends most of all. They throw it high up in the air and then try to catch it in flight. Whilst they play, they look like little stars or butterflies. When she catches the ball, she smiles gently and throws it to another.